The “Abode of Snow”, Himachal Pradesh lies on the foothills of the mighty Himalayas surrounded by gushing rivers and magical pine forests. Himachal tour packages offer a mix of thrilling adventure and tranquil relaxation all in one trip. Himachal Pradesh is located in Northern India, bordering the states of Jammu and Kashmir, Chandigarh and Delhi. The state is known for its snow capped mountains, adventure sports and the warmth of its people. The best Himachal tour packages will not only show you the beauty of the mountains and river valleys but will also introduce you to the fascinating culture of the inhabitants of the hills. Most Himachal tour packages begin at Shimla, the state capital and former summer capital of British India. A charming Himalayan outpost, its major attractions include the Institute of Advanced Studies or Vice Regal Lodge, the summer residence of the Viceroy, along with numerous colonial era buildings that dot the heritage walk on The Ridge. It is the biggest city in Himachal Pradesh and a mainstay of most Himachal tour packages. When in Shimla, do make The Mall a part of your Himachal tour package. The main thoroughfare of Shimla, it is lined with charming cafes, bars, restaurants and the famous Victorian era Gaiety Theatre. Himachal tour packages often include visits to the Jakhu Temple, where Lord Hanuman is said to have rested during his journey to the Himalayas, Chadwick Falls, Jakhoo Hill, the highest point in Shimla and the Ridge, the heart of Shimla society since the British Raj. The Dorje Drag Monastery, built in the n the Nyingma tradition of Tibetan Buddhism is a wonderful place to learn about the spiritual beliefs of the people of Shimla. However, the jewel of Shimla’s crown is Viceregal Lodge. This magnificent mansion was home to the viceroy of India and is now open to the public. Wander through the manicured lawns and watch the sun dip below the Himalayan foothills at the Lodge. Manali is another popular hill station in Himachal Pradesh and a favourite of many Himachal tour packages. Located at the edge of the Kulu Valley on the banks of the Beas River in the Himalayas, Manali is one of the most popular holiday destinations in India. A staging point for a number of treks including Beas Kund and Chandrakhani Pass as well as adventure sports such as white-water rafting, Manali is also on the road to Ladakh via the valley of Lahaul and Spiti. The biggest attraction in the region, however, is Rohtang Pass; one of the highest motorable roads on the planet. Himachal tour packages in Manali will take you to a horde of historical and scenic spots around the valley. Be sure to visit the Hadimba Temple, dedicated to a character in the Mahabharata. The ancient cave temple is surrounded by a beautiful cedar forest in the shadow of the Himalayas. Also visit the Vashist Hot Water Springs, named after the fabled rishi of the same name. The modern bathhouses, with Turkish-style showers, offer hot sulfur water said to have medicinal properties. The spot is also home to a pair of old stone temples dedicated to the local patron saint Vashista, the smaller of the two opens on to a partially covered courtyard, and is adorned with elaborate wood carvings. The Solang Valley, a short drive from Manali, is a popular attraction known for its ski slopes. Besides skiing you could enjoy paragliding in the summer months and spectacular views of the valleys and mountain ranges all year round. Do make a trip to Manali’s many gompas or Buddhist monasteries for a glimpse into their way of life. The home of the Dalai Lama, Dharamsala, is a hill station in Himachal Pradesh included in many Himachal tour packages and a hotbed of Tibetan activities. The word Dharamsala literally means "a spiritual dwelling" referring to a shelter or rest house for pilgrims and travellers. The arrival of the Dalai Lama and the Tibetan Government in Exile in the 1950s put this sleepy cantonment town on the world map. Today, the town is popular among both spiritual seekers and tourists who descend upon to town in the thousands. As part of most Himachal tour packages you will visit the tourist enclave of McLeodganj known for its bazaars and quaint trinkets. Also visit the Naam Art Gallery for a permanent exhibition of watercolours and acrylic paintings, the Tibet Museum dedicated to the history and culture of the people of Tibet. You could also visit the Tibetan Library and the Tibetan Institute of Performing Arts as well as Dharamkot for an enjoyable picnic in the hills. Further north, you will find the charming town of Dalhousie, a favourite of many Himachal tour packages and a mainstay of Himachal tourism. 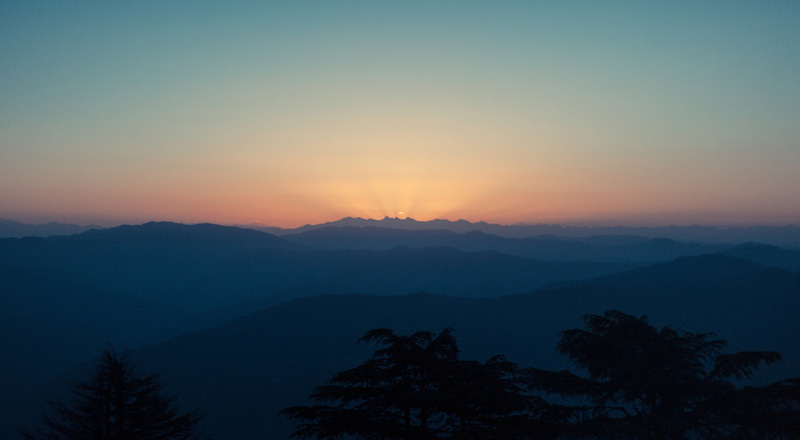 Named after the former Governor General of India, Lord Dalhousie, the quiet hill station is perfect for those in search of a little rest and relaxation, who like the quiet serenity of the hills, and long walks, picnics and treks. Lord Dalhousie founded the town in 1854, enchanted by its refreshing climes and peaceful atmosphere. The British purchased five hills, Kathalagh, Potreyn, Terah, Bakrota and Bhangora, from the ruler of the kingdom of Chamba to build a sanatorium for British subjects. The British began visiting the town to escape the hot summers of the Indian plains, a tradition still followed by Indian visitors. When in Dalhousie, visit the meadows of Khajjiar, a picturesque valley surrounded by snow capped mountains. Take long walks along the winding streets and enjoy picnics on the slopes of the hills. Dalhousie is the perfect escape for the crowds and bustling life of the cities. If wildlife fascinates you, make the Kalatop Sanctuary a part of your Himachal tour package. Enjoy the flora and fauna and stunning locales of the sanctuary on your trip to Dalhousie. Head to Kullu, an essential part of most Himachal tour packages, for both a spiritual experience and an adrenaline rush. The Kullu Valley, also called the Valley of the Gods, is the mecca of adventure sports in India. Daredevils can try their hand at everything from skiing, paragliding and rock climbing to mountaineering, river rafting and angeling. The famous Vaishnodevi temple is a mere 5 km from Kullu. Other temples in the area include the Jagganathi Temple and the Raghunath Temple, dedicated to Raghunath, the presiding deity of Kullu in whose honour the internationally renowned Dussehra Festival is held. You could also add the smaller Bisweshwar Temple, a beautiful structure carved out of stone, and the Shiva temple at Manikaran. A lot of Himachal tour packages also include the spectacular Spiti Valley in their itineraries. Known as Little Tibet, the stark desert is an exquisitely beautiful holiday destination that must be a part of your Himachal trip. 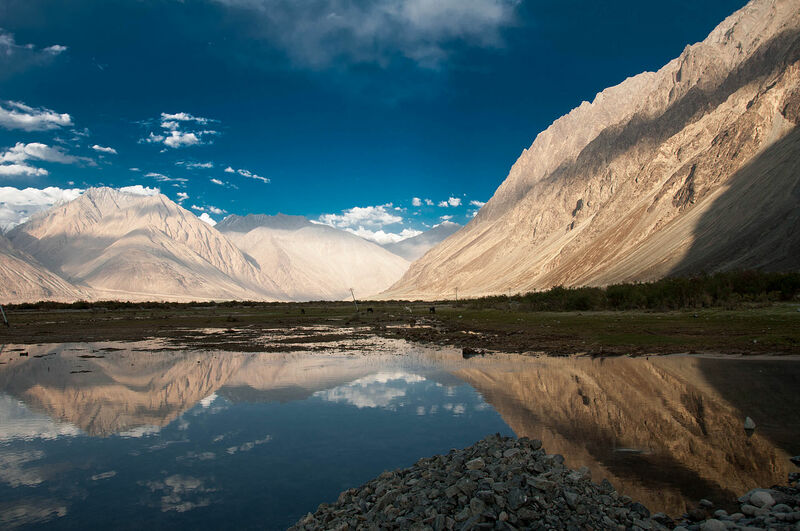 The unspoilt beauty of the Spiti Valley is unlike anywhere else in India. The gompas or monasteries in Spiti are some of the prettiest in India with monks often offering free guided tours to visitors. The Key, Dhankar and Tabo monastery are some of the oldest and best preserved in the region. The valley also has some superlative trekking options best enjoyed in autumn, the best time to visit Himachal. Take the Spiti Trek for an insight into the life of Spitian people. Visitors can experience the local way of living, cuisine and culture. Take advantage of the rich monastic traditions in Spiti and join a Thangka painting workshop. Taught by professional thangka painter monks, you will learn the art by studying 1000 year old murals in the main monasteries of Spiti - Tabo, Gomic, Key, Dhankar and Losar. Himachal Pradesh is a fascinating place bursting with breath taking natural beauty, history and culture. A visit to the valleys and hills of this beautiful state with Akbar Holidays will leave you with not just great photographs but indelible memories as well.